Sometimes the pressure in high school can be overwhelming. For students, it's preparing for state tests, grade point averages, SATs/ACTs, college applications, financial aid, etc. For teachers, it's preparing our students for all of the above. I know I constantly struggle with the balance between academic rigor and issues of real world importance. One way to relieve a little bit of this pressure for me and my students is by ending the week with vocabulary assessments. I know, I know, you are thinking how can ending the week with a quiz make anyone feel better? Well these quizzes are a little different. 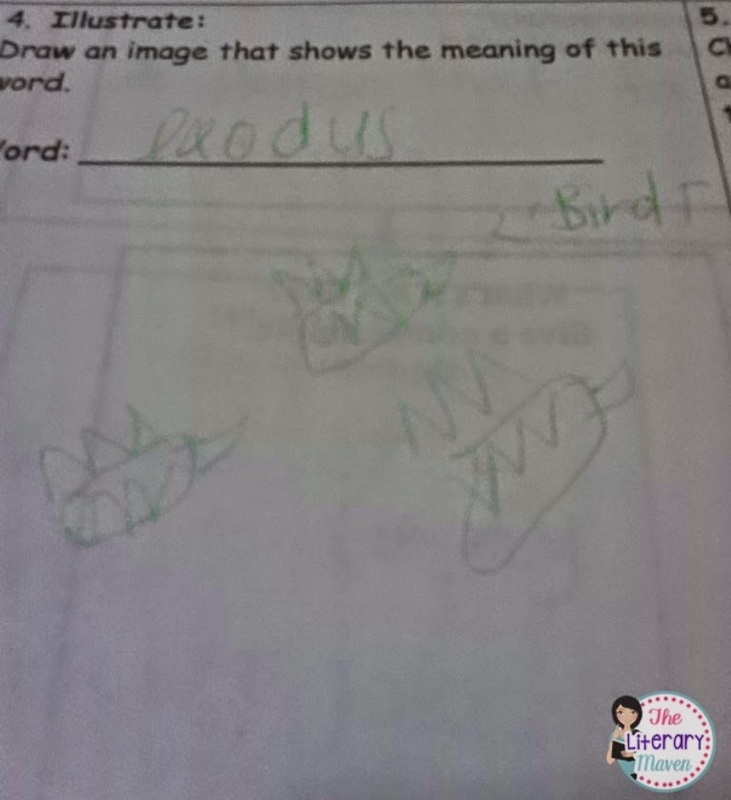 Students have to use their creativity to apply vocabulary terms in different contexts. I LOVE grading these (how often does a teacher say that?) and how my students connect academic vocabulary to their own lives. I am constantly thinking, where did they come up with this? Bonus points for making me laugh! Example of admonish. 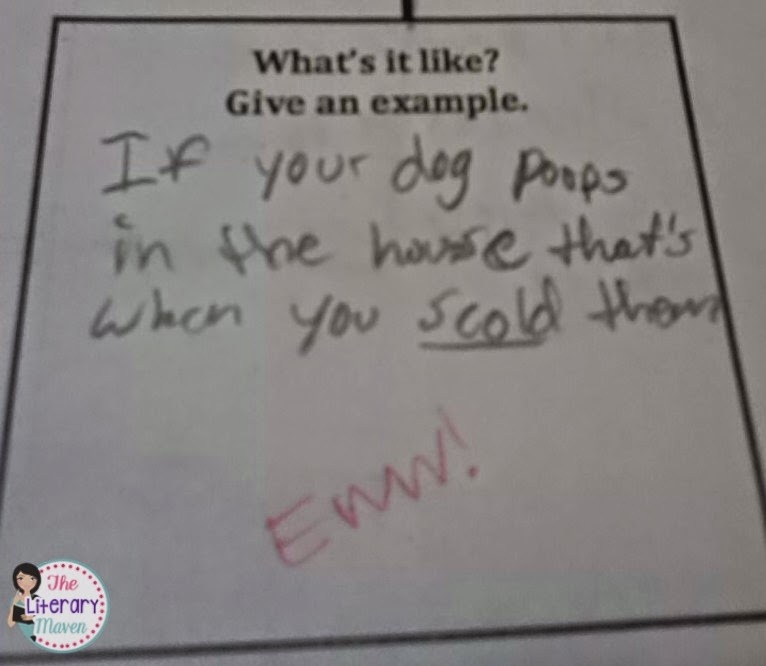 "If your dog poops in the house that's when you scold them." 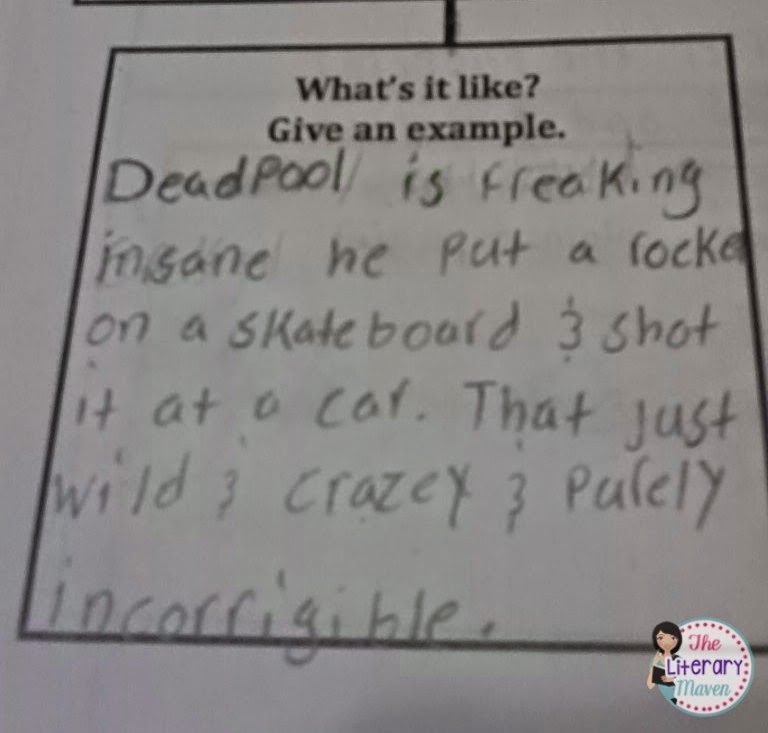 Example: "Deadpool is freaking insane. He put a rocket on a skateboard and shot it at a car. 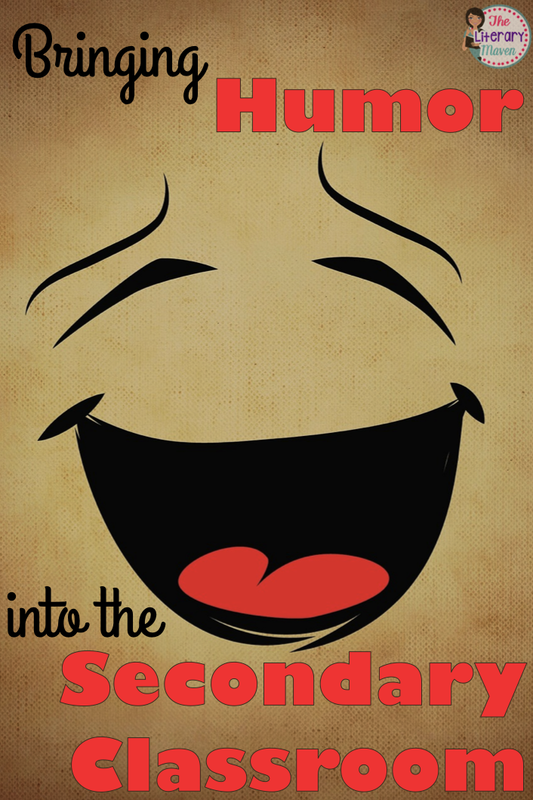 That's just wild and crazy and purely incorrigible." Illustration of exodus. Birds? Really? Without that label I might have mistaken them for hotdogs. 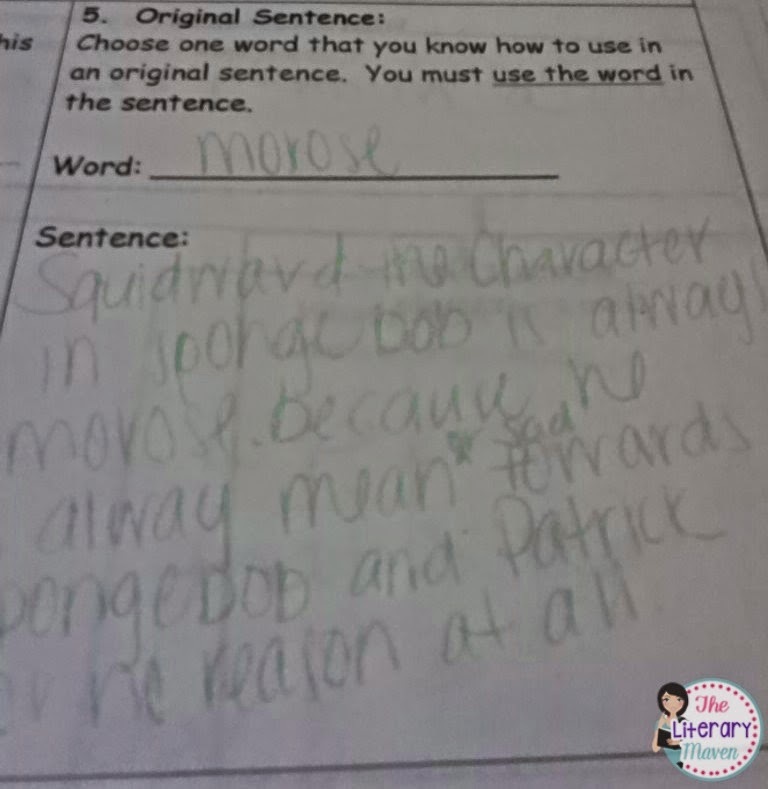 Original sentence: "Squidward the character in Spongebob is always morose. He is always mean and sad towards Spongebob and Patrick for no reason at all." Maybe because Spongebob and Patrick are annoying and would drive any sane person to insanity? 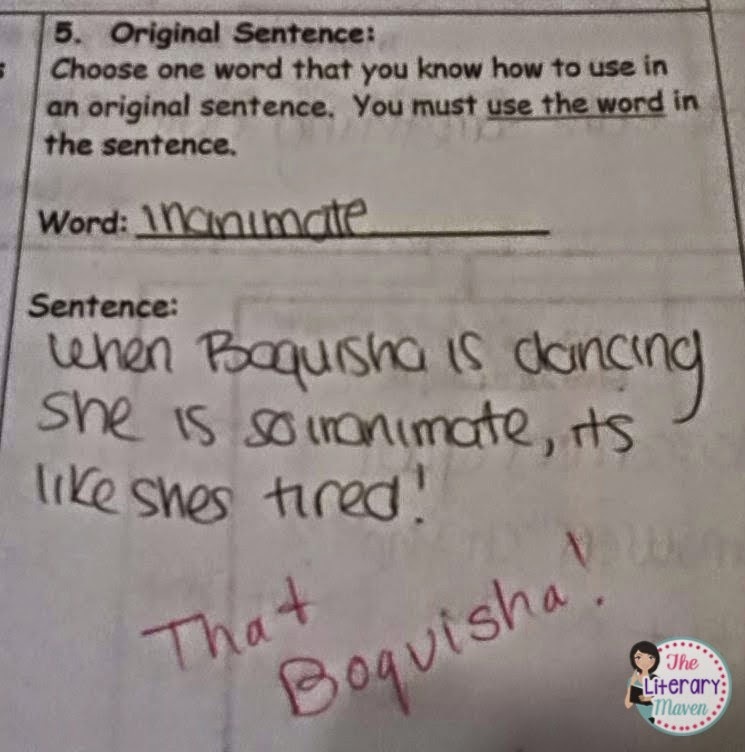 Original sentence: "When Boquisha is dancing she is so inanimate; it's like she is tired. Whose name is Boquisha?! Personal connection: "Because with my parents divorcing when I was 10 made me have questions about why. But all I heard was lies and I had to disentangle the truth." Writes hulking 15-year-old boy. 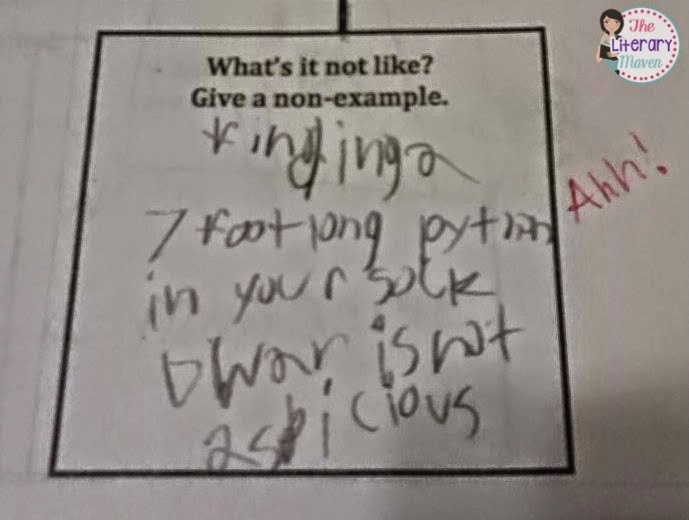 Non-example: "Finding a 7 foot long python in your sock drawer isn't auspicious." Finding a python any size, anywhere isn't auspicious! Example of hoodwinked: "He said if I invested all my life savings of $800,091 I could double my profit. 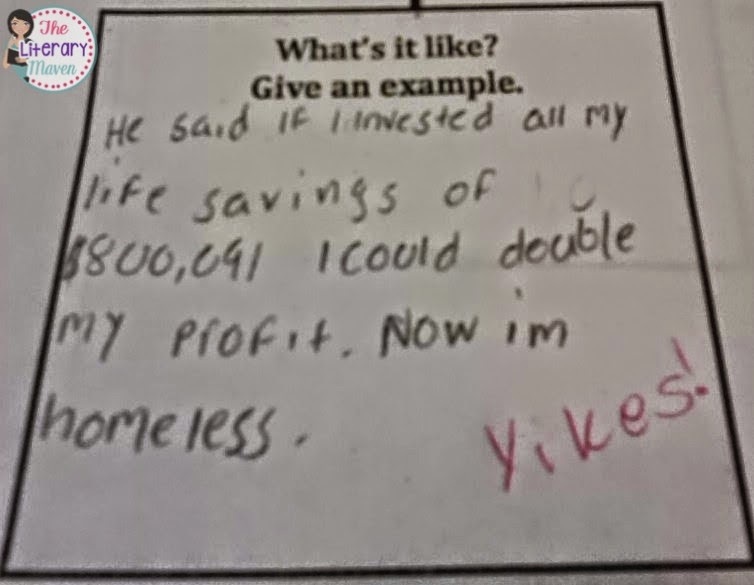 Now I'm homeless." Illustration of auspicious. "You're my favorite player!" But why don't they have necks? Personal connection with hoodwink: "One day I wanted to go to the store with my mom but she didn't want me to go. She told me to go get my jacket because it was cool outside and when I came back she was gone." Funny mom, mean, but funny. 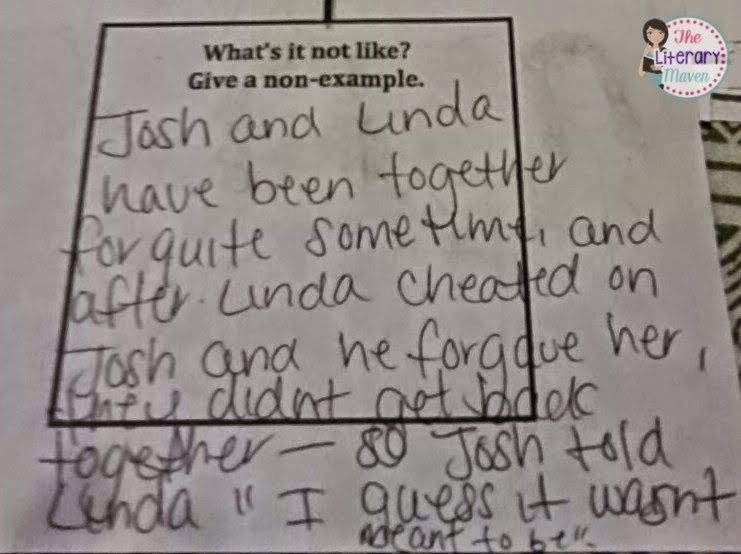 Non-example of fated: "Josh and Linda have been together for quite some time and after Linda cheated on Josh and he forgave her, they didn't get back together - so Josh told Linda, 'I guess it wasn't meant to be.'" I guess not! And I know this one is blurry and hard to read, but I saved the best for last. 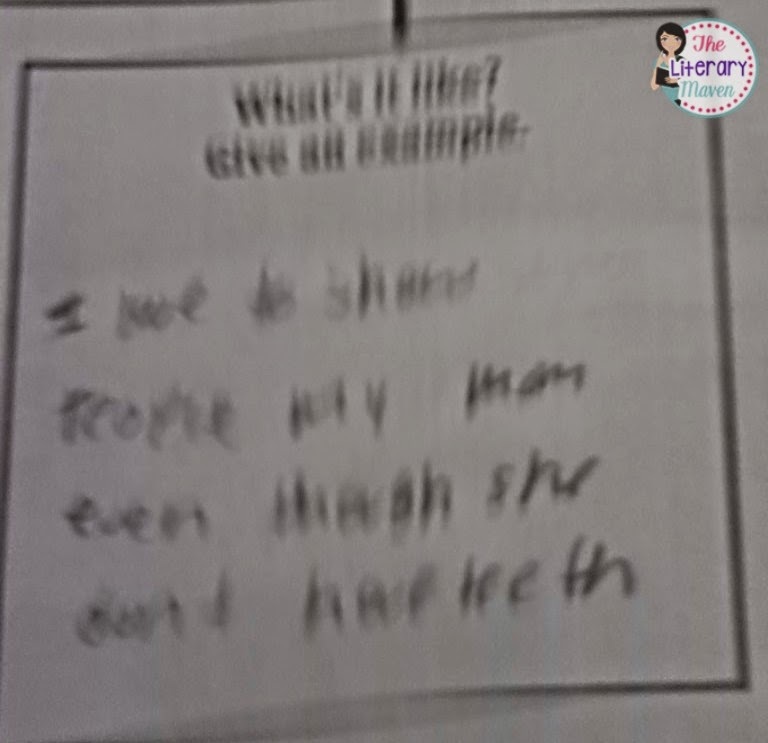 Example of brazen: "I love to show people my mom even though she doesn't have teeth." I picture this student dragging her toothless mother around on a leash. Where do they come up with these ideas?! 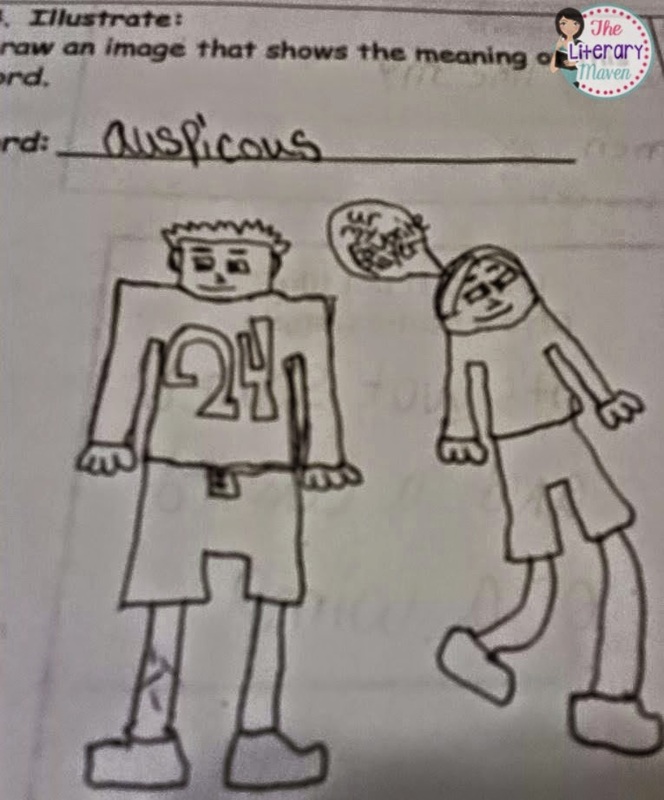 If you want to laugh with your students and have fun grading vocabulary quizzes, the assessment pictured above is part of my 12 Weeks of Root-Based Instruction, 12 More Weeks of Root-Based Instruction, and Sadlier-Oxford Vocabulary Workshop supplementary units. I love this idea for Fridays! My favorite image is the toothless mom on a leash, but I must say, Boquisha is a lovely name--a classic. 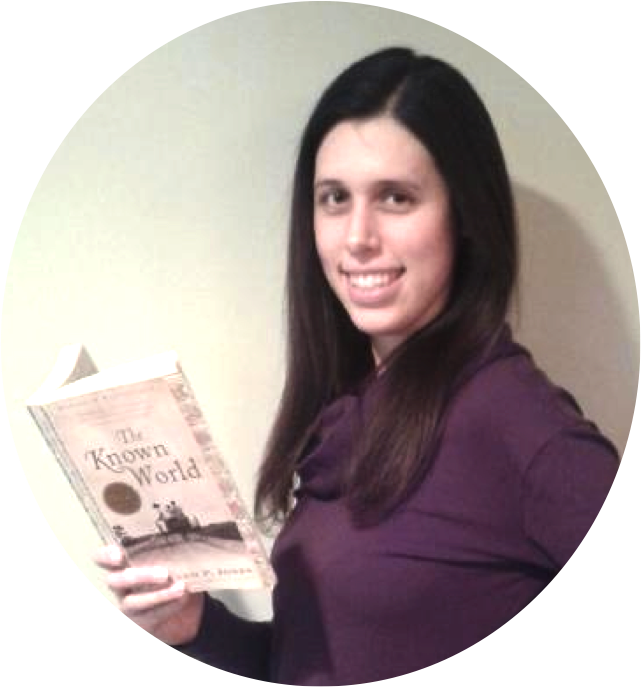 BTW, noticed you're reading "The Known World" in your picture. That's a good one! Too funny. I'd love to know what that mom would think!! That mother knows her daughter is crazy. I was tempted to show her that though! Brynn, these are hilarious! I can't decide if my favorite is the toothless mother or the hoodwinked homeless guy. Thanks for the laugh! Thanks for the chance to share my funnies! Being able to take pictures with my phone means capturing so many more moments this year , and I no longer have to save hard copies of student papers, projects, etc. Thanks for stopping by!